I read. Incessantly, obsessively. I've turn the car around because I've left my book at home. I bring books to Target, to work, to friend's homes, to parties. (I always bring a book to a party; it's my shield against agoraphobia.) As much as I love reading, though, I hate reviewing books. (Same with movies). The way that a piece of writing, or a particularly story, hits us is so subjective, so dictated by inherently subjective factors. At least it's that way for me. 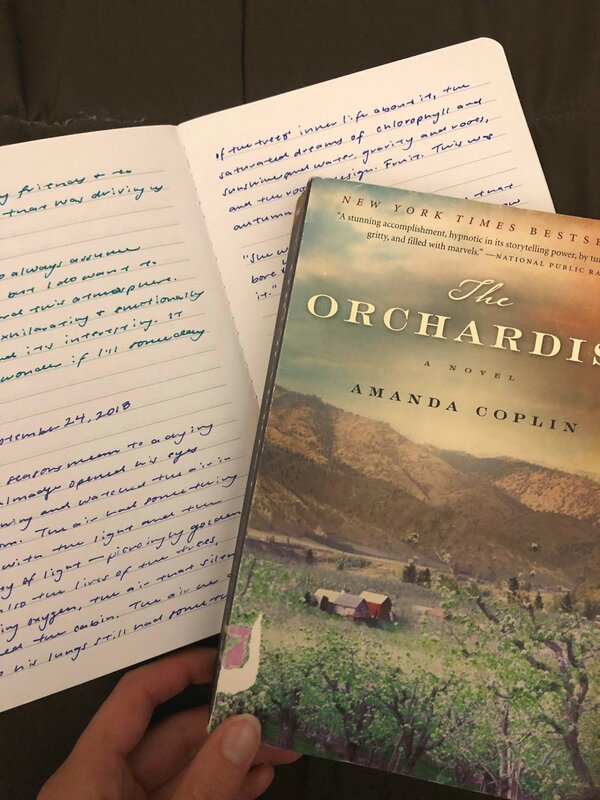 Reading is intensely personal and intimate, which means that I love or hate a book, it has more to do with me than it does with the actual book. I don't want to put myself in a situation where I'm sending out my "good-bad" judgments out into the online world. Wally Lamb's She's Come Undone was published in 1992, and I think my mom read it pretty quickly afterwards. I was born that year, so I have spent most of my life knowing that this was one of her favorite books. The summer before I left for college, she bought me a copy of She's Come Undone at a thrift shop, and told me that it's a coming of age story about a fat girl, written in such a convincingly and authentically feminine voice that I won't believe it was written by a man. It took me five years, and four tries to finally read the book, and when I finally did, I loved it. (See what I mean about reading being highly subjective? I wasn't in the right mood/frame of mind/attitude to read the book the other four times I tried, and thank God I didn't read it then). This book washed me clean. It's all brokenness and hope. This searing portrait of redemption cut across a lifetime of ugly pain. I finished it this afternoon, and when I did every nerve was ringing out with the overwhelming, aching beauty that I found in this book. It was this small story, stretched out over years and years of one person's lifetime, about exactly what my mom had told me: An overweight girl fighting through all the demons and angels that life handed her. (My mom was also right in saying that Wally Lamb writes an incredible, real-as-day woman in a first person voice). As a reader, I sunk into the story line, and could hear the voice of Dolores Price telling me to read another chapter, just another few pages, but this book impacted me as more as a writer. All 600 pages of my airport paperback copy, I felt like I was sitting underneath a fountain. There's this double-sided thing that Lamb does, where he writes about the violent, ugly, and hateful with same intimate, emotional grace that he uses for the lovely, splendid, and poignant, and the effect is just magic. He writes with this power that stripped his characters bare, stripped his readers bare, and then somehow brought us all up together, more clothed and more human. This book moved me, and it taught me, and it's going to stay with me.